Richard Johnson is Professor of History at the University of Washington, Seattle. 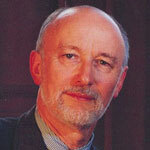 He is the author of two books, Adjustment to Empire: The New England Colonies, 1675-1715 (1981) and John Nelson, Merchant Adventurer: A Life Between Empires (1991), as well as some twenty essays and articles on early American and early modern Atlantic history. He has served as Chair of the University of Washington’s History Department and twice been the University’s UW Alumni Lecturer. He received the University’s Distinguished Teaching Award in 2003.